This spring, Golden Leaf at Conrad Hong Kong is launching a unique cognac pairing menu featuring the exclusive creations by the establishment’s executive chef Tony Wan with Martell cognacs, available throughout the season. 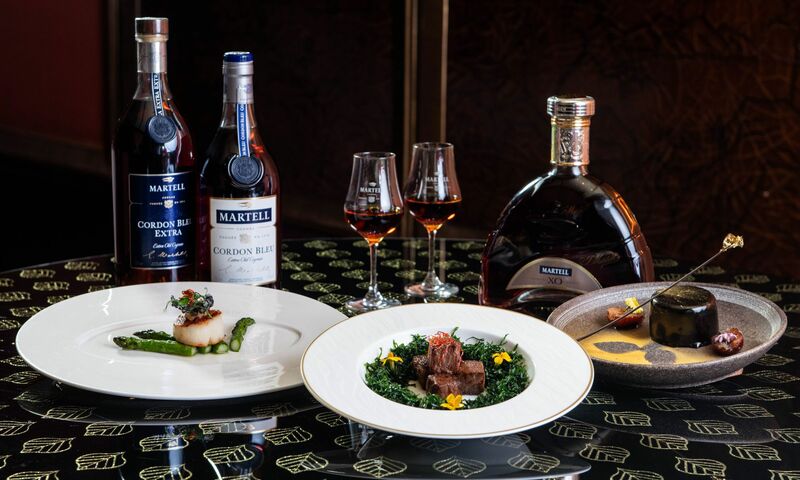 From now until March 31, guests can enjoy pan-seared Hokkaido scallops with Martell Cordon Bleu, while wok-fried Kagoshima A5 wagyu with truffle, crispy spinach with the Martell XO, complete with Valrhona Manjari chocolate and cognac cake as a dessert to pair with the Martell Cordon Bleu Extra. The Martell pairing menu is available for both lunch and dinner. Additional servings of cognac is available at HK$168 per glass.